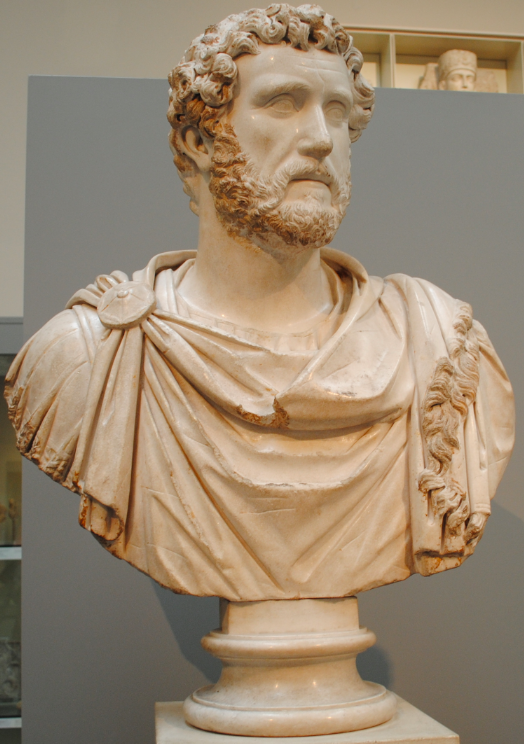 Created during the early years of his reign, the image above depicts the emperor Antoninus Pius (AD 138-161) in military dress. The marble bust was found in the house of Jason Magnus at Cyrene, North Africa and thought to have been made in the 160’s. The bust is on display in the British Museum in London.